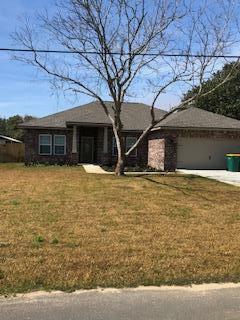 BRAND NEW All brick home 4BR, 3BA Under construction and ready for move-in early May 2018. Close to military bases, beaches and shopping. 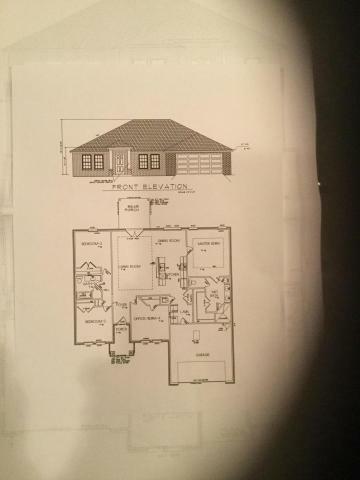 Open concept floor plan w/ 10' heights in the main living area, 9'ceilings in remaining rooms. Tray ceilings in living room & master bedroom. Luxury vinyl plank flooring throughout w/ plush carpeting in bedrooms. Kitchen & bath have ALL WOOD shaker style cabinetry w/ soft close doors. 10' Center island w/ pendant lighting, & granite counter-tops. Kenmore stainless appliances w/ side-by-side refrigerator & large pantry. Large crown molding in Main living area, kitchen, dining, & master bedroom. Covered rear entry porch, fully landscaped lawn w/ sprinkler system. Shaker style interior doors & recessed lighting. Call now! You won't be disappointed. Listing courtesy of Coastal Realty Experts Llc.